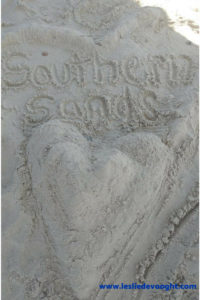 Sweet readers, Thank you for being loyal followers of my website and encouragers of my writing career. The first week of the month I usually post a Flash Fiction story, but his month, the story is slightly over 1000 words, so in the interest of honesty, and y’all know if nothing, I’m honest, it is a Short, Short Story. Last year after picking up Libby, my daughter, from a field trip at 3:30 in the morning, we heard a favorite country song on the radio. I said that I wanted to turn it into a Flash Fiction story, and she suggested that I write it from the woman’s point of view. The song is in the man’s point of view. So after months of thinking about it, I finally did it. I hope you like it. 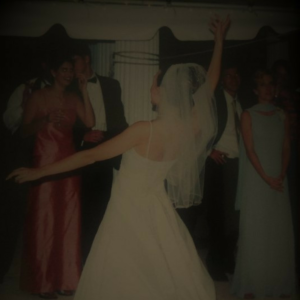 Leave a comment on the website, Instagram, or Facebook if you know the song that inspired this story. Actually, there’s two, but one is minor. Big points if you figure out that one. And always, Sharing is Caring. Love y’all. Ella waved her alleged smartphone above her head through the sunroof of her Honda Civic, lifting her foot off the gas. Fields of green leafy plants waved back at her. They almost seemed to snicker at her—Atlanta girl lost in the country. When the bossy woman directed her off the interstate, it seemed like she was trying to help. The faster Ella could get to the beach on St. Simons Island, the better. But as she turned from one two-lane road to another, the signal lost strength. The car rolled to a stop at the intersection in the middle of Nowhere, Georgia. She pulled the phone back in the car, but there was still no GPS signal. She collapsed over the steering wheel, blasting the horn. “Whoa.” A deep voice slipped through the open roof. Fantastic, now she was hearing voices. Ella lifted her head, out of the corner of her eye, something moved. A man reclined against the side of a flatbed truck full of vegetables. How had she missed him? His jeans hugged his legs, while the muscles of his upper body pushed against his green John Deere t-shirt. Mercy me, they sure do know how to grow them out here. Pushing off the truck, he ambled over to her window with the most adorable lopsided grin. Her stomach fluttered as he got closer. She gazed at him, her breath becoming heavy. His blue eyes were like the sky on a clear spring day, and his tan skin was kissed by the sun. A sharp tap to the window shocked her back to the present. He wrinkled his brow, peering in at her. Heat scrambled up her neck, burning her cheeks. She was such a fool, ogling at a perfect stranger, but he was like a fine piece of sculpture. Dropping her fingers on the window button, she tried for a nonchalant smile as the glass separating them lowered. “Hiee.” Her fingers fluttered beside her face. She cut them a look. What was wrong with her? “You got it all planned.” He grinned. “Yep.” Maybe if she kept to one-word answers, she wouldn’t babble on like a dreamy-eyed teenager. She twisted the knob for the air conditioner, dousing them in cold air. “No problem, feels good. After sittin’ out here all mornin’ with nothin’ but a prayer for a breeze.” He met her gaze, letting it linger. At the beginning of the Summer, I planned out goals for each month, and then, life happened. I’ve heard it said that we make plans, and God laughs. What I have finally learned is that I can’t accomplish much work in the month of July. Unfortunately, when I haven’t marked everything off my to-do list, I feel guilty. How about you? It’s not that I haven’t completed many things. It’s that I haven’t completed ALL the tasks that I put on myself. 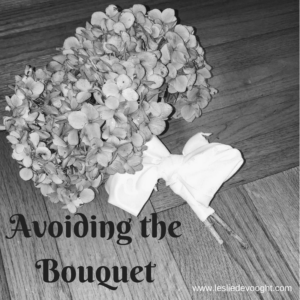 As I feel the burden of my list getting longer, I struggle to find peace, and I bounce from one thing to the next without making very much progress with anything. This year my children are attending three different schools. One is private while the other two are public, and two of the schools are new to our family. I have been to orientations, joined Facebook groups, read too many emails to count, and studied school handbooks. At this point, it has all become a blur, so I set out to get it all under control. Ha, ha. Before I knew it, I was creating a list for next week with two calendars open in front of me, Amazon opened on my computer, and a stack of forms to read and sign stacked on the table. I tried to focus on one thing at a time. But then, something would pop into my head, or a notification would chime on my phone, and I’d flip to a different thing. I could feel my heart rate picking up as the minutes disappeared. How would I finish everything and find the solitude to write this message? Have you been there? I could hear Jesus whispering, “Come to me, and I will give you rest. 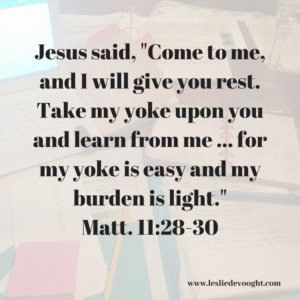 Take my yoke upon you and learn from me … for my yoke is easy and my burden is light.” But I think some part of me was afraid if I stopped working, the items on the list would just keep multiplying, building into a giant wave that would eventually crash over me. Now as I sit in my car at my son’s soccer practice at eight-fifteen at night, I realize the difference a few minutes in prayer and quiet would have made. Sure, the tasks would still have existed and most would still need to be completed, but I certainly would have had a change of perspective. I often joke that I’m a recovering control freak, but in these times, I know that desire to control is rooted in a lack of faith. When I ask God for help and only try to do what he sets before me, I don’t feel overwhelmed, and I always have enough time. I wish I had remembered this verse this morning. I know my day would have been different, but maybe it will help you with your to-do list. 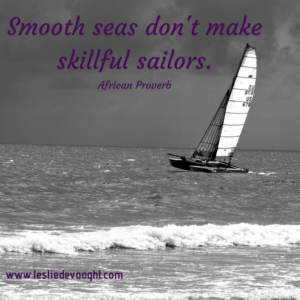 Are you being tossed by the wind? 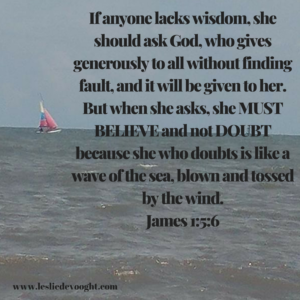 Ask God for wisdom and then believe that he will provide. Listen and rest in the knowledge that what God wants done will find a way and everything else will be washed away by the waves. Over the Fourth of July Holiday, I woke up to a radiant sunrise. I enjoyed my breakfast on the porch of my parents’ beach house as beams of light shot through the vanishing clouds, creating a sheen on the smooth ocean. It appeared to be a perfect opportunity to take my stand-up paddleboard out for a ride. I love the peace and calm of being out on the water, so I prefer a flat sea for my paddle boarding but I don’t mind gliding over gentle waves that lumber into shore. However, if the current is fighting against strong winds, it creates choppy waters that threaten to toss me. Unfortunately, when I got out into the water, I realized that I’d taken too long. Although the waves were tame, the incoming tide was relentless, and I could not paddle against it. So often in life, we want excitement and thrills. Isn’t that why paragliding is so popular? (Don’t ask me. I’d never try it.) During those calm seas, we don’t stop and enjoy the rest. Even though it is a perfect time to relish in God’s creation and give thanks for his blessings. But when everything is going right, sometimes we start checking the horizon for storm clouds and miss a lovely day on the beach. It’s good to be prepared, but sometimes it’s okay to huddle under your beach tent in a passing shower and have faith that God will protect you in this moment and wants you to enjoy his extravagant creation with abandon. And really, why try to predict and control the weather? If you live on the Southern coast, you know a thunderstorm can pop up without warning, like the one that just rolled over my house. I always carry sunglasses and an umbrella to afternoon swim practices. The good news for us is that Jesus is the same as he was on the Sea of Galilee. 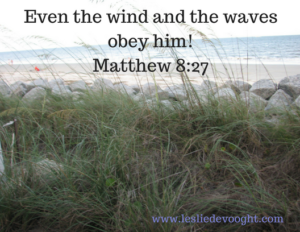 He is all powerful, and He controls the wind and the waves. How do you prepare for Summer weather? How do you surrender control and have faith? As most of you know, I just completed writing my sixth book, and it is set on at an Olive Orchard in a fictional South Georgia town. While researching for the book, I learned that Thomas Jefferson thought the Southeastern United States would be a good place to grow olives. Although his crops failed, other farmers did have success along the coast of Georgia and South Carolina. There was even an olive orchard planted on St. Simons Island near the lighthouse. It survived until Hurricane Number Seven in 1898. I’m so grateful for all of you and your continued support as I navigate my way through this writing journey. As I wrote above, my time off from blogging in June was well spent. I completed a very rough first draft of my sixth book that I’m currently titling Secrets and Love at the Olive Orchard. Someone once told me that you need to write seven books to get published, so I hope she was off by one. In the meantime, I continue to edit and rewrite the three books I’ve written over the last eighteen months, so I’ll be ready when we get the call. 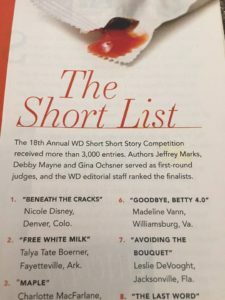 Also, I found out in June that I won first place for Contemporary Fiction at the Write-to-Publish Conference in Ohio. This was for my third Contemporary romance manuscript, so I plan to prepare a proposal for it over the coming months as well. 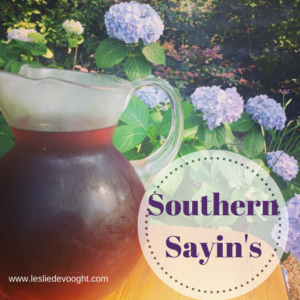 Thank you all for your Southern phrase suggestions. With the responses on Facebook, I ended up with four single-spaced pages of great sayings. Isn’t it fun to live in the South? 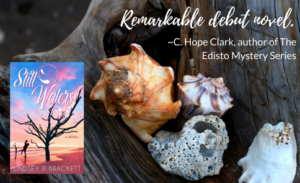 As I continue to work to find a publisher, I’m trying to educate acquisitions editors on the Golden Isles and would love your help. 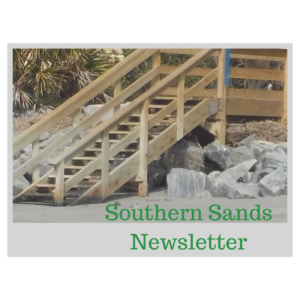 What are your favorite things about the South Georgia Coast? Describe your perfect day on one of the Islands. What is a wonderful memory you have of time spent on the coast? 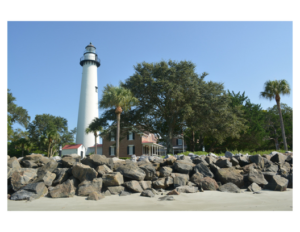 I’d love to share why we all love the Golden Isles with people around the world. Please leave your comments on the website, so everyone can read them. Happy Fourth of July! 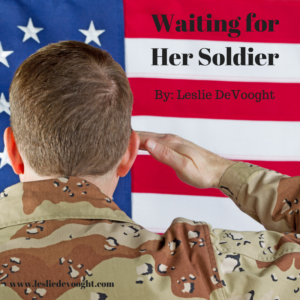 As we celebrate our independence, I hope this short story will remind us of those who help ensure our freedom every day and the sacrifice they and their families make for each of us. We are so blessed to live in this great nation. ********************************************************************************************* With a permanent marker, Whitley crossed off the date. She rubbed her stomach, while Will, Jr. continued his afternoon kickboxing session on her ribs. Only two squares left on the calendar before his predicted arrival, and like his daddy, he couldn’t wait to get out in the world on an adventure. Tracing Liam’s face in the family photo, her chest tightened. “Daddy might not be here for your big day but know he loves you so much. He had an important mission.” She counted the days back to Liam’s last call—too many. Tears pushed at the backs of her eyes. Liam always volunteered for the dangerous missions. She’d begged him to let someone else take this one, but he’d refused. In the end, she’d barely mumbled, “love you.” As her stomach churned, bile stung her throat. The door slammed against the refrigerator. Swallowing, Whitley gripped the counter. Sighing, Whitley hugged Liam’s shirt around her. If only it were his arms. “Y’all go. I’m not in the mood.” She inhaled deeply, but his scent no longer lingered. What if she never felt his embrace again? Click here to read the rest of the story. One of the best parts of being an author is meeting and getting to know other writers, especially the ones who have written books you really enjoyed. Christina Suzann Nelson and I “met” in a Facebook Group because we were represented by the same literary agent. My book club chose to read her book, If We Make it Home, this year, and I cannot recommend it enough. It is a completely unique story of redemption, friendship, and survival. 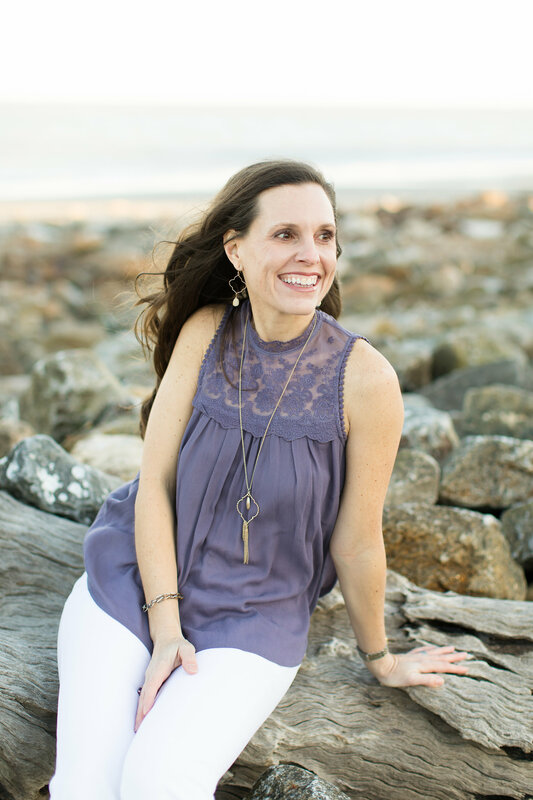 The last week proved incredibly difficult for Christina as you will read in her post, and I am so thankful she was able to take the time to share her story here. I know you will be touched by her words. 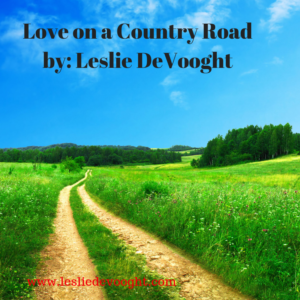 Thank you, Leslie, for offering me this blog spot. When I took you up on the opportunity, I had my life in order with all going as I planned and expected. I placed the date in my calendar and planned to write this segment in the week leading up to the deadline. No biggie. It’s not a huge commitment…I thought. Let me tell you about that week I’d planned. My father has been struggling with Parkinson’s for the last couple of years, especially the not as well-known aspect of the disease—dementia. A week before I was to turn in this post, we had to make a hard decision. It was time to stop the extra poking and prodding and move to comfort care. The best guess was one to two months. But Parkinson’s never behaved well for my dad. Within a couple of days, he started to diminish. He no longer would eat, even the chocolate pudding that had become the go to food. Then he stopped taking liquids. Last Tuesday, he passed away, leaving us stunned and reeling from the loss and the speed at which it happened. Two days later, we were at our rural cemetery saying our goodbyes. Needless to say, the blog post didn’t get written until now—the night before it’s due. Though this last week dripped of loss, sadness, and trials, there was peace. Peace sat with me at the hospice house, it allowed me to sleep, and it gave me hope as the end drew near. Thank God there is peace. By nature, I’m crazy-independent. It’s actually a trait I got from my dad. But this week, I was comforted and surrounded by community. From prayer, to meals, to friends present at my father’s service, I can’t say enough thank yous to express how humbled and loved I feel. I love my job. 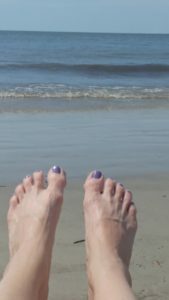 Over the last week, I’ve had the flexibility to stop working and be available. My agent has been an amazing support, encouraging me to be with my father rather than pushing me to produce. I couldn’t be more grateful for the career God has allowed me to be a part of. No emotion, experience, or disappointment is wasted on a writer. We have the opportunity to turn our sorrows into stories that will, hopefully, speak to the heart of the reader. As I work through grief, I find myself holding onto this thought. Maybe, at some point in the future, this pain will be redeemed by comforting someone else in the midst of their own sadness. So, for wherever you are today, I pray that you will be blessed in this moment. Recently, I have spent a lot of time at the high school Libby will attend next year. The excitement is in the air. I get chills walking through the breezeways. These students have their whole lives in front of them–anything is possible. As we get older, we often forget that feeling, burdened by our daily lives. Sometimes we need a reminder that God wants to prosper us all, no matter how old we are, no matter how far off His path we have roamed. We have hope when we turn to God for direction. 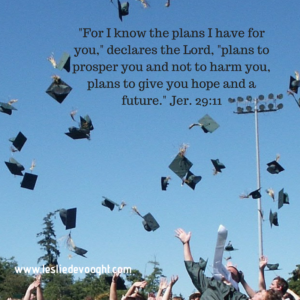 A future following His plan might have interesting twists and turns, but He is always there cheering us on when we need it, providing the right tools, and preparing us to do his work. This week lets take a moment to look through the eyes of a teenager and see the opportunities God has provided and remember the way He blesses each of our days. What new adventure are you considering? How are you stepping out in faith?